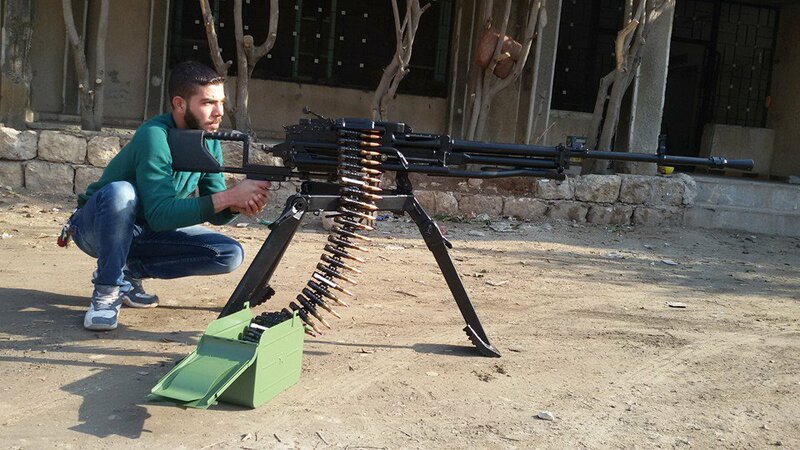 In recent days, opposition groups within Syria have been documented in possession of Serbian-made arms and munitions. 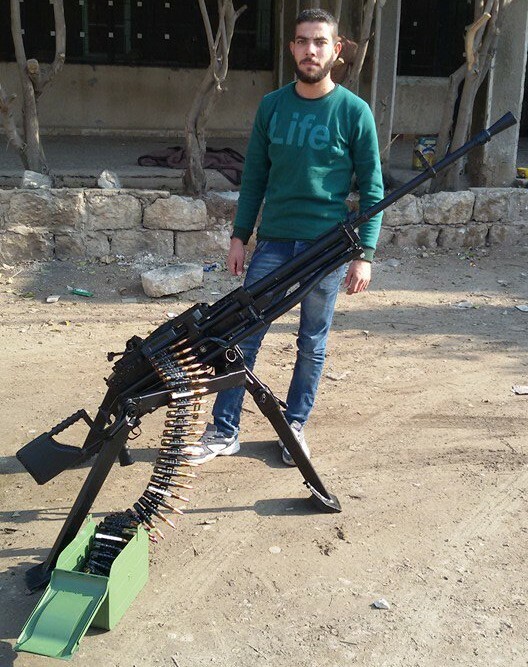 M62P8 120 mm high explosive (HE) mortar projectiles and an M02 Coyote 12.7 x 108 mm heavy machine gun have been identified. 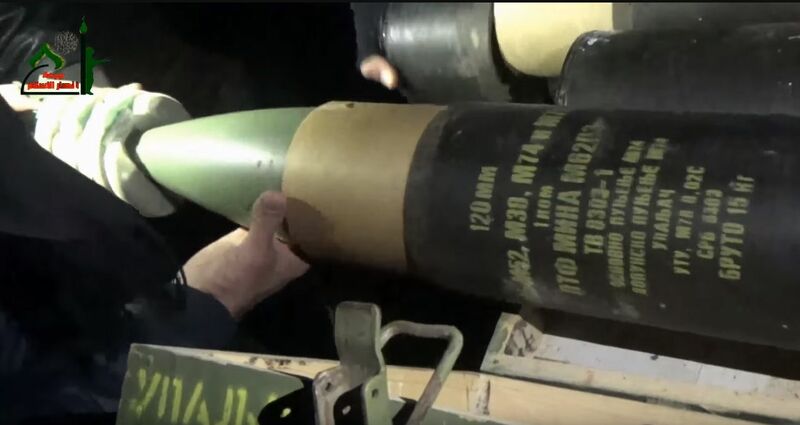 Whilst a number of weapons manufactured in the former Yugoslavia have been documented in Syria, these two items of Serbian origin have only recently been sighted. A video posted to YouTube on 12 February 2016 by the group Jabhat Ansar al-Din shows the emplacement, loading, and firing of a 120 mm mortar near Quneitra, in southwest Syria. 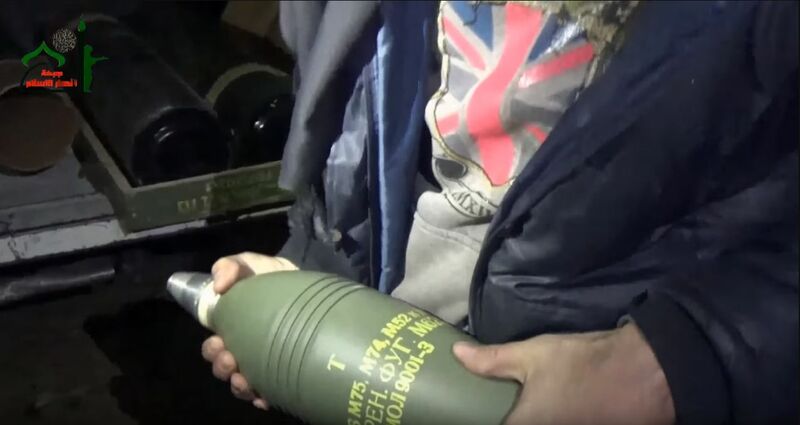 Cyrillic inscriptions visible on the mortar projectiles and packaging indicate that the rounds being fired are M62P3 120 mm high explosive (HE) projectiles, produced in the Former Yugoslavia (at Soko Vit d.o.o. , in what is now Bosnia and Herzegovina). These are still produced by Pretis d.d. in BiH, and are exported from former Yugoslav states. The M62P3 projectile has a maximum range of some 6050 metres, and delivers a 2.25 kg charge of TNT. 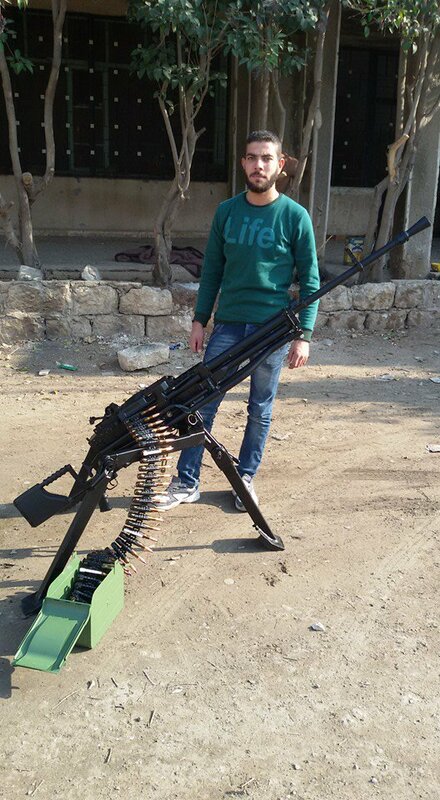 On 16 February 2016, images posted to a Syrian rebel fighter’s Facebook account show a Serbian M02 Coyote 12.7 x 108 mm heavy machine gun. The Coyote is a copy of the Soviet NSV and is produced by Zastava Arms, in Kragujevac. It is differentially identified from the NSV by a number of cosmetic differences, most notably the distinctive stock, pistol grip, and tripod. The rivet pattern is substantially the same as the NSV. The M02 is manufactured and offered for export in two versions, one chambered for 12.7 x 108 mm (as seen here) and another in .50 Browning (12.7 x 99 mm). H/t to @bm21_grad, who spotted the Coyote machine gun.